The American Revolution was when the British colonies that were located in America fought to be their own country. They thought it was unfair that they were taxed without representation. 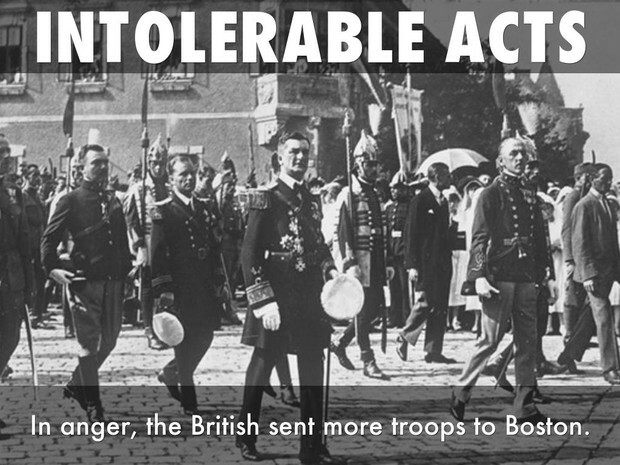 Another social reason they rebelled was that they had to house and quarter soldiers sent by Britain. This was very expensive to the colonists. British polices that started the battle was that they could only trade on English ships. The British also were in debt, which was the reason that the colonies were taxed. I believe that the colonists were justified when declaiming independence because they were no longer ruled by a king across the ocean and they were a democracy, not a monarchy. The Navigation Act was one of the many reasons that the war was started. This Act restricted trade of the colonies. They could only trade with British ships and they could only trade with England. This is important because it started to break down the colonies economy because there economy heavily relive on trade to other countries. The Proclamation of 1763 was where King George lll placed a law saying that the colonists were not allowed to settle past the Appellation Mountains. This was placed to avoid costly wars with the Native Americans. The proclamation was made after the England has won the French and Indian war. England was in dept from that war and they didn’t want to have more debt of be in debt in the future. The colonists were unhappy because they felt that they had just fought and died for that land and now they couldn’t have that land. 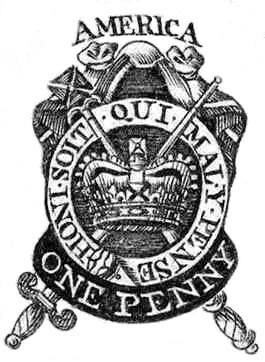 The Stamp Act is where the British required the colonies to pay a tax for all the products made from paper. They taxes playing cards, plain paper, books, newspaper, etc. they played the tax by perching stamps that were required to put on all there paper items. This act made printing newspapers almost imposed. So many newspapers stopped being printed. This is when the Sons of Liberty were created. They were a group that would rebel against the soldiers. The Stamp Act Congress was also created and they divided that only the colonies could tax the colonists. The British government obviously didn’t listen. The Quartering Act was the act where the colonists were forced to house and feed the soldiers. It also violated the rights of the colonists as well as being expensive and inconvenient. The act was put in place after England had gotten the request from the colonists to lift the Stamp Act. Writs of Assistance were also given to the soldiers. Writs of assistance were blank search warrants that allowed the soldiers to search houses whenever they wanted without perdition. The Townsend Act was where imported items were taxed so the colonists had to buy the more expensive British products. The items that were taxed were tea, glass, paper, spices, and fabric. An all-woman group called the Daughters of Liberty protested by making/sewing their own fabric. 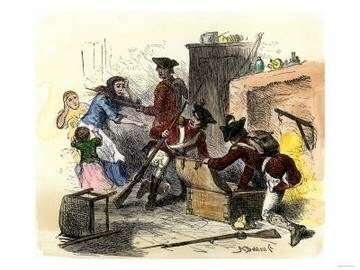 The Sons of Liberty, another rebel group, protested by attacking and assaulting the British soldiers. 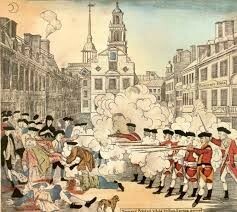 The Boston Massacre was where the British soldiers fired gun shots into s crud of protesters. The protest started as mob that through oh balls and insulted the soldiers. An African American man was the first one shot as a warning. When the crowd got even madder 4 more people were killed. This convinced more people to rally for their rights. The Intolerable Act was where 4 rules were placed. The rules were that the colonies could not trade to England, banned town meetings and assemblies, England have total control of the colonies and the Quartering Act was reinforced. Now the colonies can only trade with each other because they already could not trade with anyone else but England. The colonies could only trade with each other and this spared rumor of revolution through the colonies.